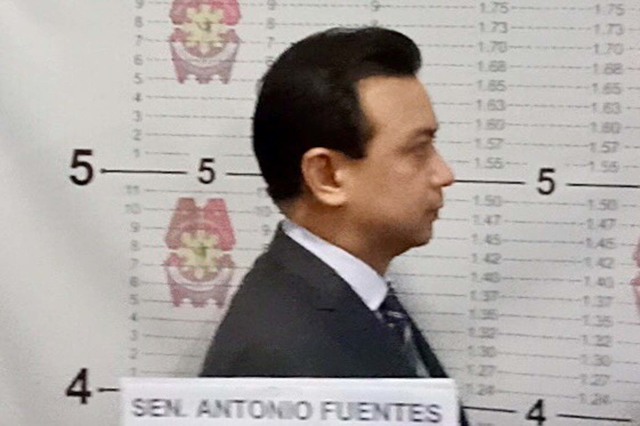 MANILA - Senator Antonio Trillanes IV underwent booking procedures at the Makati police headquarters after he was taken into custody on Tuesday. 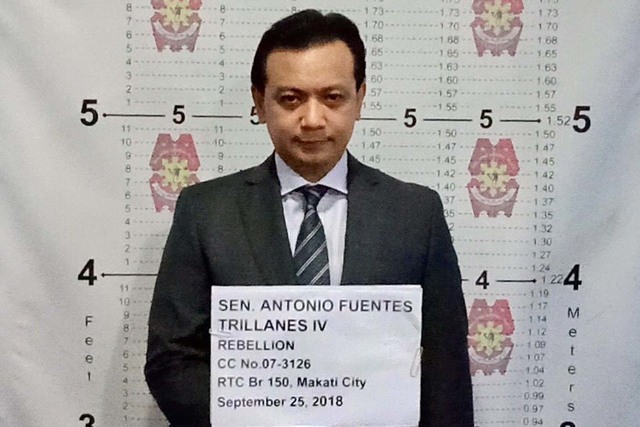 Police officers took mugshots of Trillanes, who was still wearing a suit he had been wearing at the Senate before he went with the arresting officers. 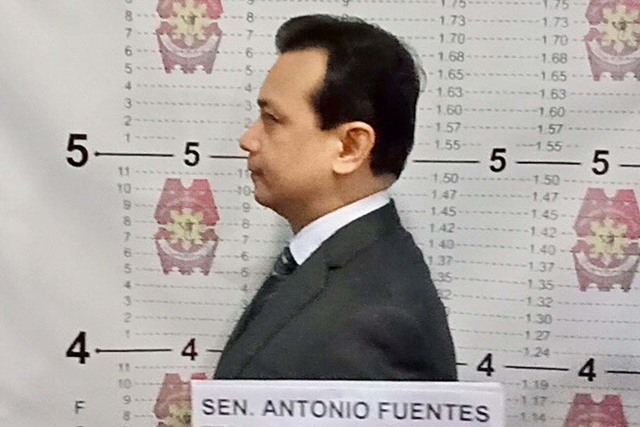 Makati Regional Trial Court Branch 150 earlier Tuesday granted the Department of Justice's motion to issue an arrest warrant against Trillanes. It also issued a hold departure order against the senator.